This co-wash is one of those products that I like but…don’t LOVE. Is it cleansing? For the most part, yes. It’s moisturizing? For the most, yes. But that’s the thing, I have to preface the “yes” with a “for the most part.” Maybe it’s because I believe in shampooing my hair every week or two or maybe it’s because I think solely co-washing hair isn’t the best thing for hair but I’m not a huge fan of this co-wash. It’s too reminiscent of the Coconut & Hibiscus Conditioner. 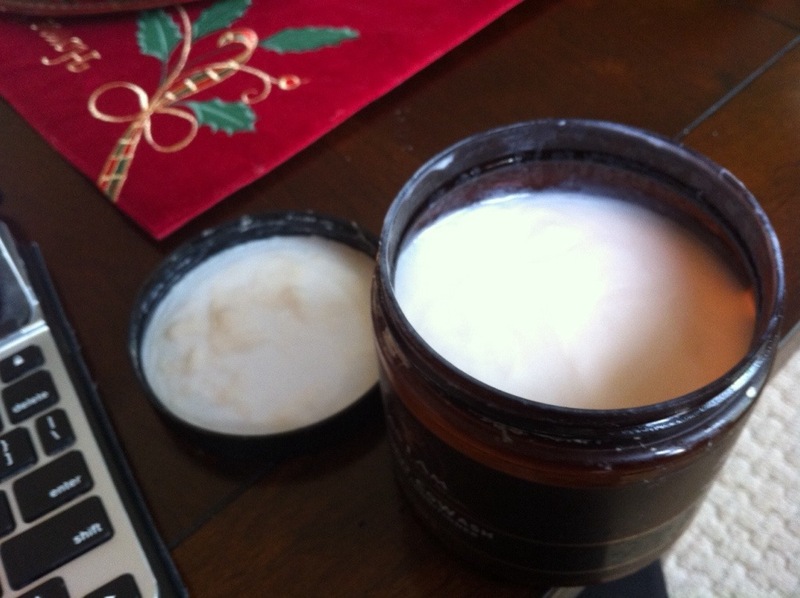 It does get the job done though, for the most part, leaving my hair cleansed and moisturized. I purchased this product from Walgreens for $11.99 for 8 fl oz. I part my hair into four sections, applying the co-wash to my hair one section at a time. I massage into my scalp then work through the length of my hair. Rinse and style! Before I continuing reviewing products, I’d be remiss if I didn’t put y’all on to this amazing YouTube Healthy Hair Series! I really love these videos because they’re super informative and cover a wide array of different hair care products lines. Part 1 of the series focuses on cleansers! Cleansing hair is SUPER important. SUPER! To clarify your hair is to rid your hair of all the product buildup that you’ve put on your hair throughout the month. With all the products that naturalistas and curlies put on our hair to define curls and provide moisture, it’s SUPER important to clarify and cleanse your hair of all these products to avoid buildup. Here is an article that details the importance of clarifying. But, most importantly, here is the YouTube video for Part 1 of the Healthy Hair Series. Part 2 of the series focuses on Deep Conditioners which I LOVE. Y’all know I LOVE a good deep conditioner! I’m always super shocked when I find a naturalista or a curly that doesn’t deep condition. I mean…just…why not?? Deep Conditioners really help to revive hair and give you back all that moisture that you lose throughout the day/month/week. Part 2 of this series also touches on the importance of a protein treatment for your hair, specifically Aphogee 2 Step Protein Treatment which I use regularly and can’t get enough of! Well, I can or else my hair will suffer but you get me! So, check out Part 2! Ahh the art of the co-wash. Every curly head and every naturalista knows what it means to co-wash but for those that don’t, allow me to explain. To co-wash is to wash hair with conditioner or a product that is more a conditioner than a shampoo. 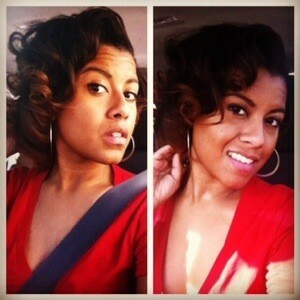 Textured hair has a natural tendency to be drier than straighter hair types. The natural oils created by the scalp have a harder time navigating the twist and turns of curly hair and naturally coarse hair. Co-washing is a part of the no-poo movement. What is the no poo movement you ask? The no poo movement means NO SHAMPOO. EVER.Personally, I’m not a fan of this movement because conditioner doesn’t have the cleansing qualities that the hair needs to remove build up! But, to each their own. 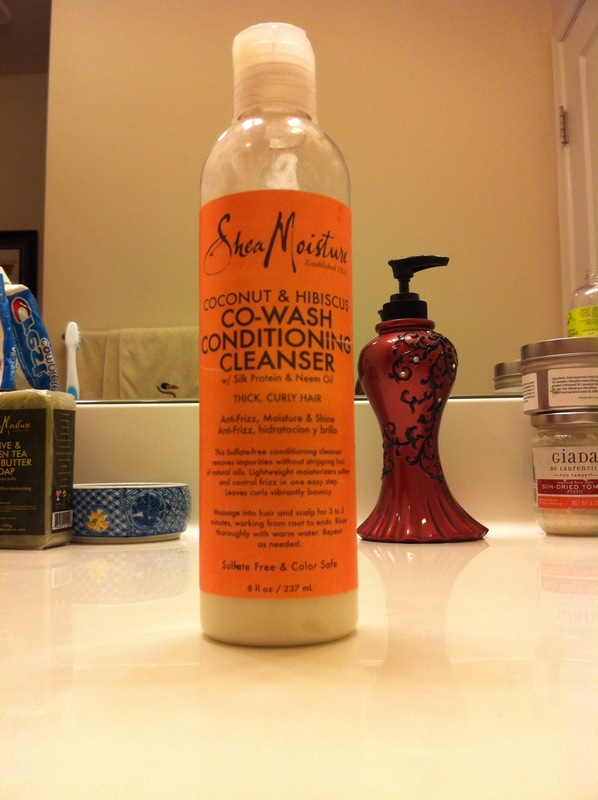 When co-washing it’s very important to have a product that cleanses the hair and scalp! The Huffington Post-Beauty has recently published an article that contains the top eleven products for co-washing. 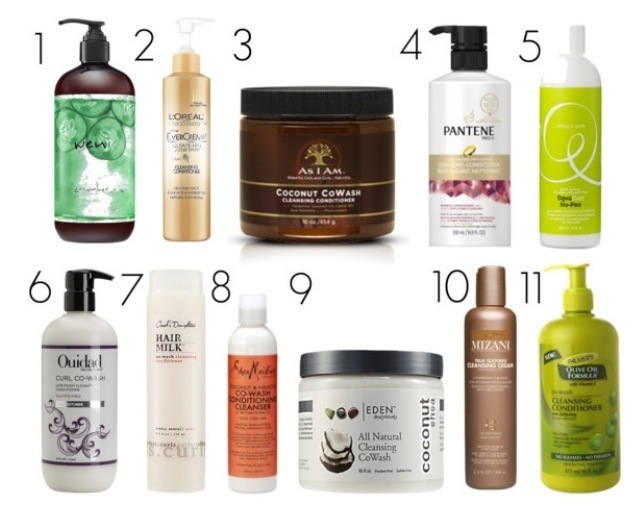 I have tried As I Am Coconut Wash (available in Co-Wash Product Reviews), Carol’s Daughter Hair Milk, and Eden’s All Natural Cleansing Co-Wash. I hope to try all of the products on this list and, of course, review all these products for you all!! Until then, read this article and experiment! When I co-wash, I have to use products that are cleansing enough on my hair and scalp but will not strip my hair of it’s natural oils. Thus, this product needs to be more of a conditioner than a shampoo. 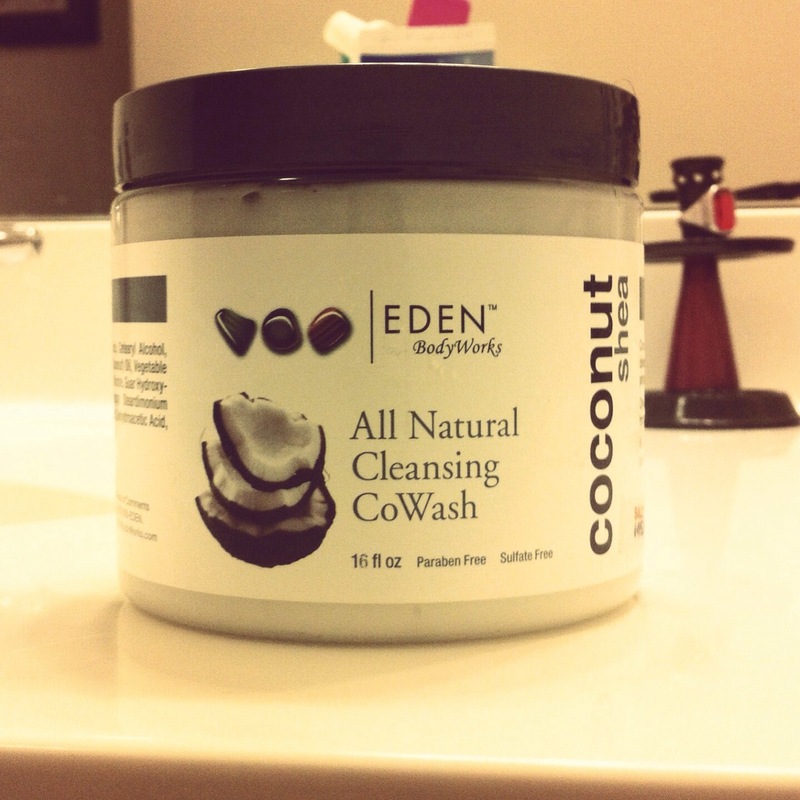 One of my favorite co-wash products so far is Eden’s Coconut Shea All Natural Cleansing Co-Wash! I bought this co-wash from Sally’s for $7 for 16 fl oz. This aloe vera in this product is great for cleansing the scalp while the shea butter and coconut oil does a great job at moisturizing the hair AND scalp! The hydrolyzed keratin also does a great job at strengthening the hair shaft! Similar to any other co-wash, this product is meant when you do wash and go’s. Ideally, I like to use this after I pre-poo by hair and do a steam treatment for 30 minutes. When doing wash and go’s, however, there’s usually a time crunch and pre-poo treatments are not always able to be done. So, I generally use this product the same way I would use a shampoo. There’s no need to use a shampoo before this product or to use a conditioner after using this product. This product is extremely moisturizing and NOT heavy at all. It has a great coconut smell as well!! While this product is not yet in my top ten, it’s steadily inching it’s way in! Great purchase that delivers great results! When co-washing it’s important to get a good co-wash that actually cleanses your hair but without stripping your natural oils, as shampoo naturally does. There are a variety of different co washes available these days as the natural movement expands, and the search can get tiresome. There are links that can help such as this article on babble.com or another article on my personal favorite, Curly Nikki! The latter article explains the art of co-washing, when to co-wash and how to co-wash! 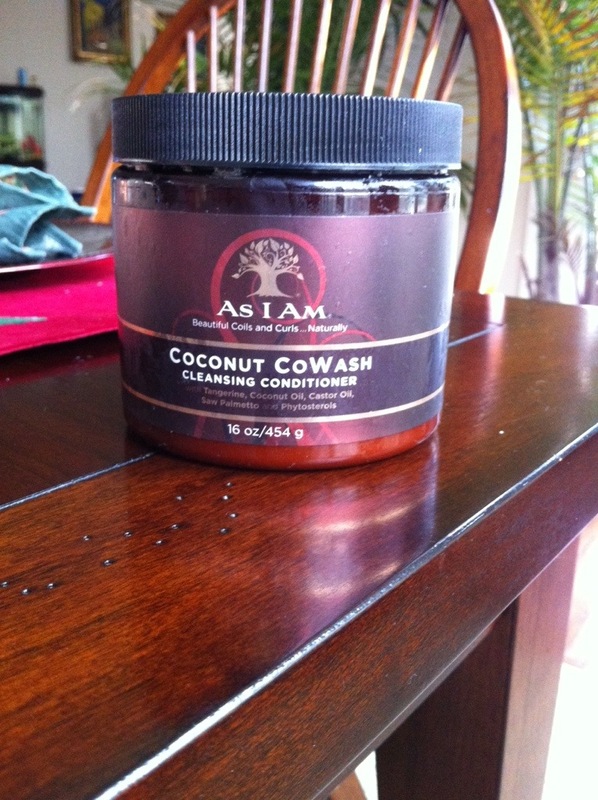 Now, with all the products available to use in Co-Washing it can be tough to know where to start but I’ll start with As I Am Coconut CoWash. This cowash promises to be a “creamy. gently no-suds moisturizing cleaner that helps maintain moisture, add moisture, and retain moisture.” When doing researching of this product, before purchasing, the rave reviews flooded in. Many of my natural friends and curly hair friends recommended this co-wash. Then why do I not feel the same? Let me explain. When I purchased this product at Sally’s ($8-16 oz) I couldn’t wait to co wash my three day old needed a wash cause there were way too many style products still in my natural wavy/semi curly state hair! I opened the tub and it smelled yummmy! The texture (as you can see below) is almost liquid and slides easily through the hands when touched. When I got into the shower and cleansed my hair with it…my hair felt crazy dry! I felt like I was using a clarifying shampoo more than co-wash that was supposed to add moisture to my hair! Admittedly, I had ran across a few negative reviews in my research of this product but it is rare that I’m the outlier and well…I was just SO excited I didn’t believe these negative reviews! Someone always has to be a negative Nancy you know? But, here I am writing this negative review haha. The one positive thing I will say about this product is that is surely does cleanse. If you’re one who never uses a clarifying shampoo (although you should at least once a month!) and who uses one too many styling products, then this co-wash is perfect for you! Otherwise, maybe not. Remember ladies, everyone has a different experience with different products so if you have faith in this product then, try it out! As for me, por favor no mas!